All of Shoop Consulting Group’s solutions are unique and customized to you and your needs. Shoop Consulting works with corporate leaders to create customized solutions. Shoop Consulting Group partners with you, providing what you need. Not more, not less. Amy L. Riley, MSTD, founded Shoop Consulting in 2003 with a mission to help client organizations to achieve breakthrough results. Amy is pragmatic, action-oriented, and listens intently to provide customized solutions that fit the people and the situation. She is passionate about helping leaders to simultaneously achieve their business goals and their personal aspirations. Amy earned a Masters of Science in Training and Development (MSTD), with an emphasis in Organization Development (OD), from Loyola University in Chicago, Illinois. She is a graduate of the American Society of Training and Development (ASTD)’s Human Resource Development (HRD) Institute and a certified Development Dimensions International (DDI) Facilitator. She has earned a certificate in Using the Internet in Corporate Training from Jones International University. 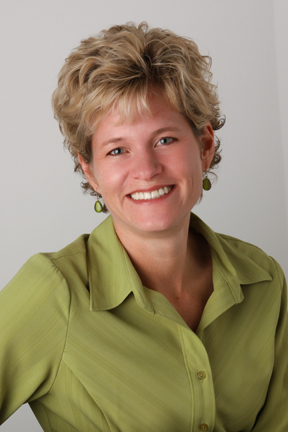 Amy is a Certified Professional Behavioral Analyst (CPBA), qualified to administer the DISC Personal Profile Tool. Amy is a certified Tiara International LLC Coach, qualified to coach others in the distinctions of Tiara’s Model for True Leadership. She is also a certified Best Year Yet® Program Leader and Coach, qualified to use this proven, results-producing methodology to coach individuals and facilitate team strategy planning and execution. We capitalize on our strengths and embrace a strict set of Guiding Principles, which serve as the foundation for each step we take. We are keenly aware that “one size does not fit all.” We use insight, perception and facts to identify our client’s unique needs and develop solutions that fit them best. We ensure that our services engage participants’ interest, allow for long-term knowledge retention and instill sustainable changes. Shoop helps ensure that you recognize and step into a personal leadership style that feels comfortable and genuine. Customized learning solutions to tackle your individual and personal goals. We take our clients through a four step process – (1) Assessment, (2) Design, (3) Facilitation; (4) Evaluation. Services include Team Strategy Planning and Execution processes and group and individual coaching. Shoop Consulting works with corporate leaders and entrepreneurs to create customized solutions. Using our unique methodology, we work with our clients to… Assess where you are at,Get clear on where you want to be and Develop plans to address your challenges and/or business objectives. At Shoop, whether we are dealing with individual or organizational needs, we work with our clients to attack the gap between strategy and performance – what you want vs. what you are currently getting – and help you to achieve BALANCE, achieve your maximum POTENTIAL and achieve RESULTS. You are extremely thoughtful and detail-oriented. You understand the importance of accountability and action in achieving results. You involve the people in the organization in designing their desired outcomes, and then coordinate a plan that realizes their goals. Amy is thorough when explaining concepts and she intuitively senses people’s needs for further explanation or examples. She guides a group learning process smoothly with a comfortable ease and lighthearted enthusiasm.